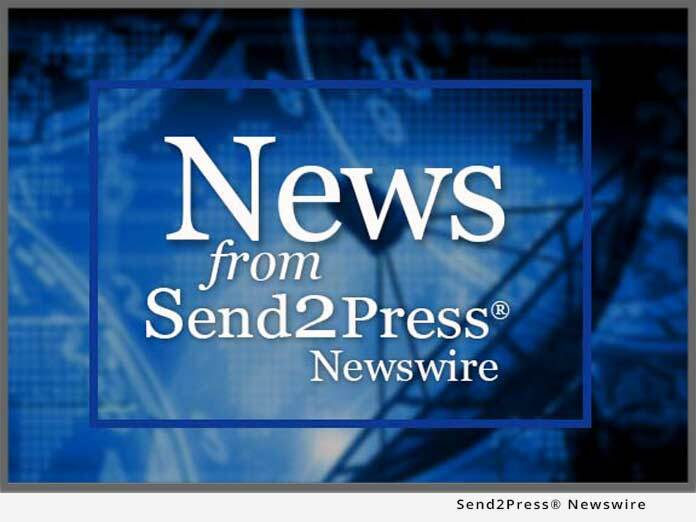 CHICAGO, Ill. – Aug. 21 (SEND2PRESS NEWSWIRE) — Alterian (LSE: ALN), the leading global enterprise marketing platform provider, announced today a strategic partnership with global email deliverability specialist Return Path. Through the partnership, Alterian will integrate Return Path’s Sender Score email deliverability and monitoring technology with its own email marketing application Dynamic Messenger, giving users a comprehensive solution for ensuring deliverability success worldwide. Alterian also announced the latest version of its Web 2.0 email and online marketing application – Dynamic Messenger 5.0 – designed with enhanced reporting and campaign management functionality and a new user interface. Marketers using Alterian’s Dynamic Messenger email solution will be able to monitor email deliverability across the globe, taking advantage of the leading email deliverability solution for the international market. Return Path’s local involvement and relationships with the ISP community overcome problems marketers have in dealing with varying geographies and languages, solving any delivery challenges associated with marketers expanding across borders. Via Return Path’s US-based account team, Alterian will also have access to its ISP mediation services as part of the agreement. “Being able to deliver comprehensive email deliverability monitoring and ISP relations support worldwide will be of major benefit to our partners and strengthens our existing capability to execute cross-border campaigns. Most of our competitors have in-house ISP relations which are not as advanced or as widespread as Return Path’s. This agreement is a real differentiator for us,” commented David Eldridge, CEO, Alterian. Solid ISP relations and deliverability best practice are essential for marketers, due to the complex and constantly changing criteria employed by ISPs and other reputation monitors used to regulate email delivery. Return Path’s Sender Score allows users to proactively identify and resolve potential issues before campaigns are deployed and in cases where a problem arises in a live campaign, properly investigate and resolve the issue as quickly as possible before any impact. Sender Score also has the widest and deepest global ISP and filter coverage of any deliverability solution in the industry, telling senders why their email is most likely being blocked by providing reputation flags and diagnostic advice. Automated campaign reports can be scheduled and distributed via email, while new event notification options highlight when various actions have occurred, such as emails opened or landing page and rich media views. SmartLists allows users to save list queries for future use which can be extremely valuable as data changes leading up to a campaign deployment. Users can now also select multiple suppression lists simultaneously. The user interface has new navigation icons, logos, buttons, graphics and streamlined workflows, making operation even easier and faster. To view a technology demonstration of the Alterian Marketing Services Platform, please visit www.alterian.com/events. Founded in 1999, Return Path is an email performance management company dedicated to helping its clients build better relationships with their customers, generate higher response rates and achieve significant returns on their investments from their email programs. More than 1,500 companies currently use Return Path’s services to generate superior results from their email programs, taking advantage of Return Path’s pioneering innovations in deliverability, email list quality solutions, customer acquisition, online market research and best practices strategy. For more information about Return Path or Sender Score, please visit www.returnpath.net. Alterian (LSE:ALN / LON:ALN) helps marketers improve results through its enterprise marketing software platform and global partner community of leading marketing service providers, agencies and systems integrators. Alterian takes marketers on a journey to become analytically-led and to integrate their marketing processes, creating value for both the customer and the company. By combining database, digital, and operational marketing applications on a shared data infrastructure, the Alterian Marketing Services Platform makes it practical and cost effective for marketers to gain insight into their data, and use this to execute an integrated marketing strategy across online and offline channels. Software alone does not enable better marketing. Alterian has cultivated a global community of over 70 marketing service providers, agencies and systems integrators such as Accenture, Acxiom, Allant Group, Carlson Marketing, Experian, Epsilon, InfoUSA, Merkle, Ogilvy One and Euro RSCG Worldwide, who deliver Alterian software alongside their own value-added services. These solutions empower market leaders like Princess Cruises, General Motors, Zurich, HSBC, Limited Too, Dell, Amnesty International and Vodafone, to drive competitive advantage through improved marketing performance and customer satisfaction. Alterian was founded in 1997 and trades on the London Stock Exchange (ALN). With offices throughout North America and Europe, Alterian software is used in over 20 countries worldwide. For more information visit www.alterian.com.